Moog's DIN rail mounted module analog control cards are ideal for use in enclosures where space is limited. Modules include servoamplifers, transducer conditioning electronics, command and auxilliary function modules, valve drive amplifiers, and power supplies. 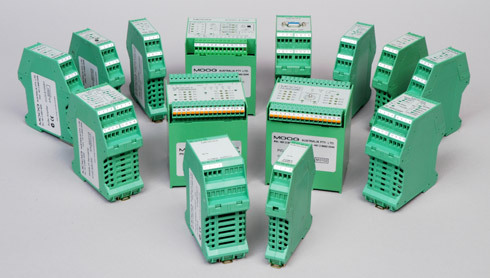 All of these modules are CE marked and require a 24V DC supply. The modules mount to standard 35mm DIN rail for easy installation and removal.